By Garett Sloane . Published on January 22, 2019. 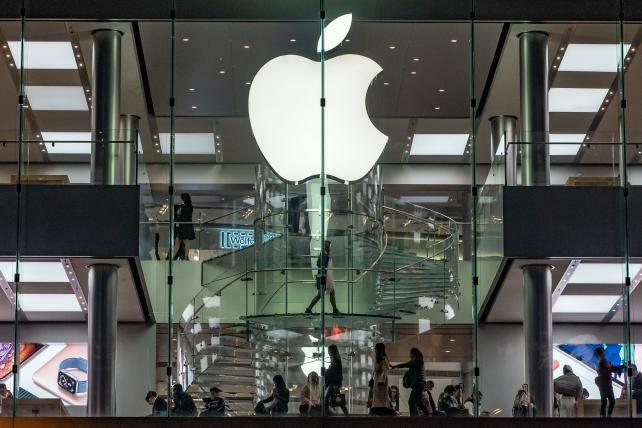 Apple cut its sales forecast for the first time since 2007. Andrew Swinand is chatting on the phone when he stops short. It's a brief pause as the CEO of Leo Burnett North America chooses his language carefully. Then he says it, a word uttered more frequently these days in hushed tones, often reluctantly: "Recession." "Some clients are quite bearish on 2019," says Swinand, deliberately. "I'm in a position of meeting with a lot of C-level executives and people are battening down the hatches." Madison Avenue is as good an economic barometer as any as brands consult with their agencies while planning out their year. For 2019, retailers and consumer goods companies are already thinking about where they can find savings, and "start focusing on profitability instead of a growth mindset," Swinand says. In fact, all agency executives reached for this story say brands are worried that a decade-long expansion is finally set to contract. They point to the Trump administration engaging in a trade war with China, which Apple recently blamed for a startling downgrade in its outlook; aluminum tariffs affecting everything from Campbell's soup to GM lug nuts; and the government shutdown, which has threatened the livelihoods of 800,000 federal workers and their families. At the annual Consumer Electronics Show in Las Vegas this month, advertisers said talk of recession was tough to avoid. "There was a lot of fear at CES about where the economy is heading," says Noah Mallin, head of content and experience at Wavemaker, a WPP agency. "A lot of brands are going over what their ad budgets will look like this year." Meanwhile, he says, device makers at CES were especially concerned about Apple. Earlier this month, the iPhone maker cut its sales forecast for the first time since 2007, from an expected $93 billion to $84 billion in the fourth quarter of 2018. There is, of course, no surefire way to predict a recession, defined as two straight quarters of declines in the Gross Domestic Product. The U.S. Federal Reserve's 2019 outlook calls for GDP growth, albeit at a slower rate than in 2018. JPMorgan Chase CEO Jamie Dimon, however, recently suggested that U.S. economic growth could be zero this quarter. Then there are those who think the best way to cause a recession is to keep talking about one. "Things really start to tip when mass fear sets in," says Christopher Ross, a Gartner senior director and analyst. Nonetheless, clients are starting to draft contingency plans. "Brands are going to focus on value," says Swinand, who declined to name specific clients. "You see that in retail especially, doubling down on value." In the event of a downturn, brands have to adjust how they spend their marketing dollars and how they shape their messages to consumers hurting economically. "They have to think about how to change the way they talk about themselves and their products and services," says Gartner's Ross. The fate of the ad industry is directly tied to the overall economy, says Brian Wieser, senior analyst at Pivotal Research Group. That means when GDP falls, advertising falls in unison; it's neither a leading indicator before a downturn nor lagging indicator trailing the overall economy's performance, he says. "All of a sudden, a crisis is a good time to reassess all your behavior," Wieser says. "Advertisers scrutinize their budgets much more than they did in the past." One major difference between 2019 and the recession a decade ago is that the digital advertising industry has matured. Online advertising went from a $22.8 billion market in the U.S. in 2009 to a $112 billion market last year. Facebook generated less than $1 billion in ad revenue in 2009, but now does more than $50 billion a year, meaning it and Google are more susceptible to economic winds than they were in their early expansionary years. "Digital advertising has to eventually revert to industry-level growth," Wieser says. "A recession is the sort of thing that could cause that to happen." During the previous downturn, total U.S. ad spend fell 13 percent at the low point of the recession from 2008 to 2009, according to Zenith. In 2008 and 2009, ad spend declined both years, tracking the recession dips, and rose along with the economy in 2010 until today. The U.S. ad market is still expected to grow 2.9 percent in 2019 to $210 billion, according to Zenith, which would be a slight downtick from the 3.2 percent growth in 2018. Even if a recession does hit, the outcome across the ad industry could be different this time given that brands consider marketing more essential than ever, Gartner's Ross says. Digital advertising gives small and large businesses an accessible platform to get their messages out. "Traditionally, for a lot of businesses, that's one of the first things they cut," Ross says. "Today, it's a little different because marketing is so much closer to the front line." Tahira McGhee, group director of media management at R/GA Digital Studios, has been reflecting back on the last recession in order to prepare for the next one, if and when it comes. "There's an upside to not following the pack," she says. Brands tend to retrench, but that's not always the best strategy: During the last downturn, McGhee counseled a brand to move forward with a product launch, grabbing market share while rivals hid. "One brand decided to invest heavily," says McGhee, "and the year after that became the leader in its category."